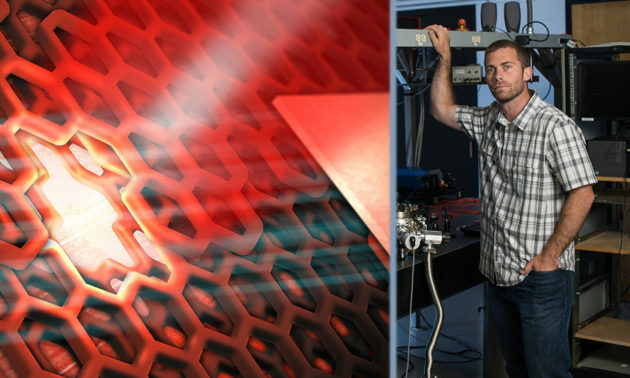 Ignacio Franco, assistant professor of chemistry, who is investigating laser control of electrons at an ultrafast time scale and the properties of matter driven far from equilibrium. 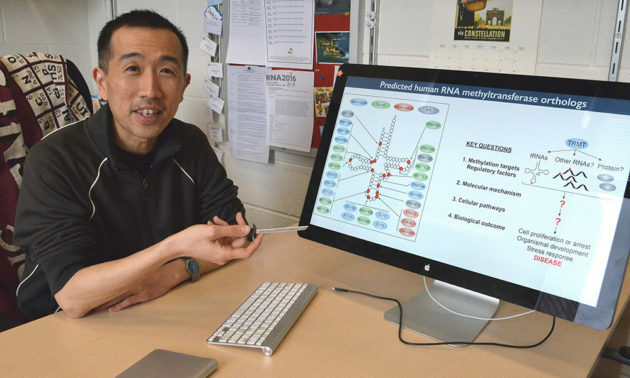 Dragony Fu, assistant professor of biology, who is exploring how a key group of enzymes act on RNA molecules to regulate how those molecules function in fundamental cellular processes. 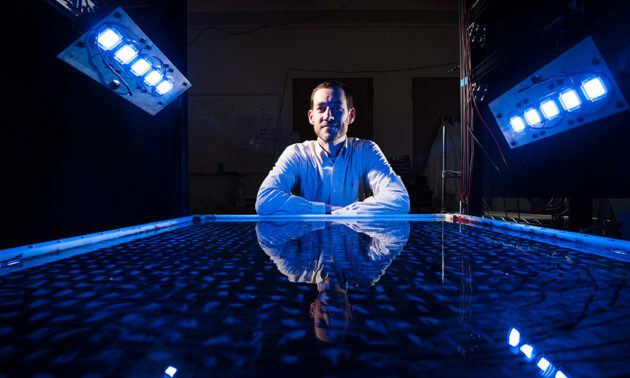 Douglas Kelley, assistant professor of mechanical engineering, who is studying how fluid dynamics affect the performance of liquid metal batteries. Nick Vamivakas, assistant professor of quantum optics and quantum physics, who is pursuing a transformative way to produce defect-based quantum dots in atomically thin semiconductors as a novel source of quantum light. NSF Career awards are especially significant because they provide five years of funding to help lay the foundation for a faculty member’s future research. Franco, for example, is redesigning the way he teaches quantum mechanics to chemistry graduate students. He will use a flipped classroom approach to put some of the lecture material on videos that students can watch ahead of time. That will free up classroom time for group discussion and problem solving. Fu will engage students in producing video-based tutorials to serve as teaching and training resources. He will also provide workshops for underserved high school students to encourage their interest in biology. Kelley will collaborate with the Kearns Center for Leadership and Diversity in Arts, Sciences and Engineering to involve junior researchers from underrepresented groups in his project, and will also mentor a senior design team each year. Vamivakas will continue to work with the Institute of Optic’s Photon Camp, which brings high school students to campus each summer for an introduction to optics. NSF CAREER awards focus primarily on fundamental research that will expand our base of knowledge, but may not result in immediate applications. However he is excited about the potential applications his research points toward. If the photon-emitting nanostructures he is working with could be substituted in place of lasers in integrated photonic chips, for example, “You could do things like computing and information processing that would be much faster. You could solve problems that you couldn’t solve with an ordinary electronic chip,” Vamivakas says. 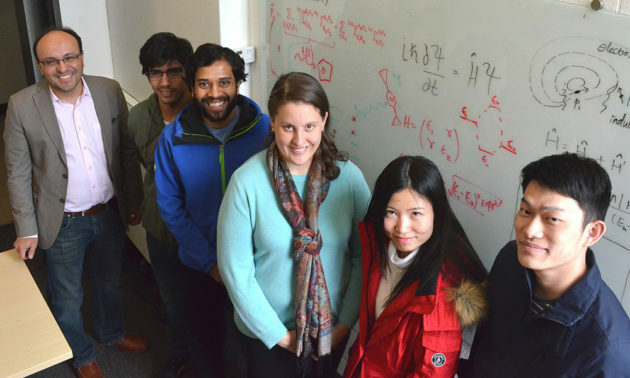 The liquid metal batteries that Kelley studies could store enough energy to back up power grids for an entire city or region, making it more feasible to use intermittent solar and wind power as the primary energy sources. “That could absolutely disrupt how the world’s power grids work — and I mean ‘disrupt’ in a positive, innovative sense,” he says. And mutations in the genes that make the enzymes Fu is studying have been associated with intellectual disabilities and other disorders. So a better understanding of those enzymes might lead eventually to new treatments.